Remote Control is for choose . 1. Wireless Bluetooth mini speaker LED lights, power outages are not afraid of the dark, long sail, touch instant light, energy saving lamp wireless Bluetooth speakers. 3. Support computer charging, TF smart player, mobile phone charging Po charger. After fully charged, five hours music playback, single lamp support 5 hours maximum brightness, the weakest brightness is 11 hours. 4. 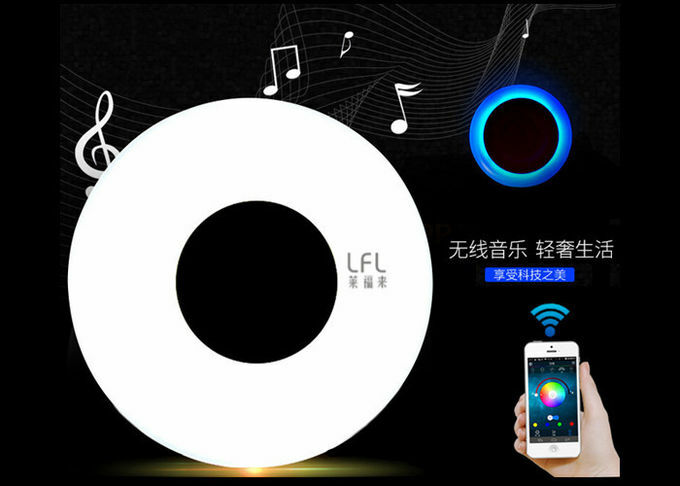 Bluetooth mobile phone smart lights, music lighting serve several purposes, convenient hands-free phone at home. APP supports phone calls, movie stereo playback. 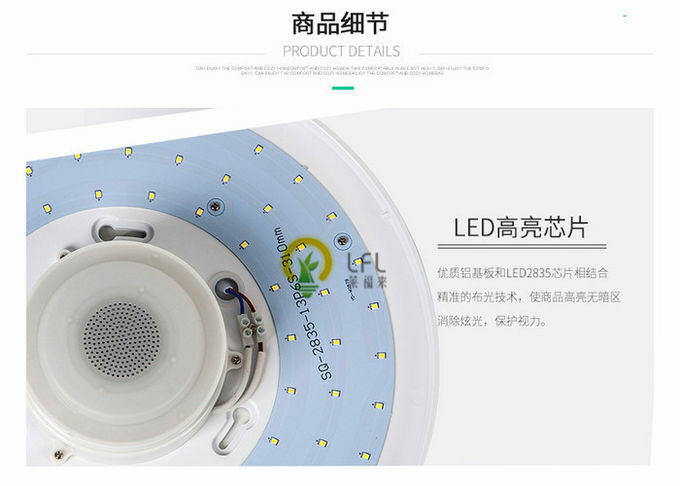 Power feeding lamp, touch instant light, Nightlight facilitate the elderly night together. 5. Portable lighting easy to go out, outdoor travel essential nightlight. This product combines LED lighting with bluetooth audio speaker. You can choose to use it for music player or lighting device, and they can work simultaneously. 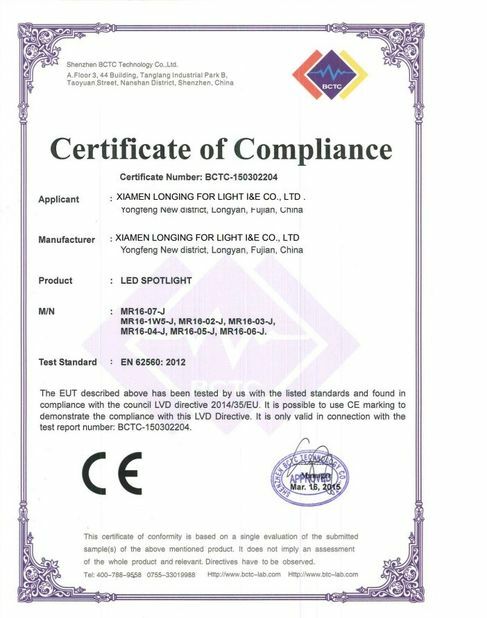 It adopts E27 lamp base, easy to operate. And it is suitable for all bluetooth-enabled devices, such as mobile phones, tablet PCs, notebooks, etc. A new creative 2-in-1 design, which combines LED light with bluetooth audio speaker, it can be used for both playing music and lighting. 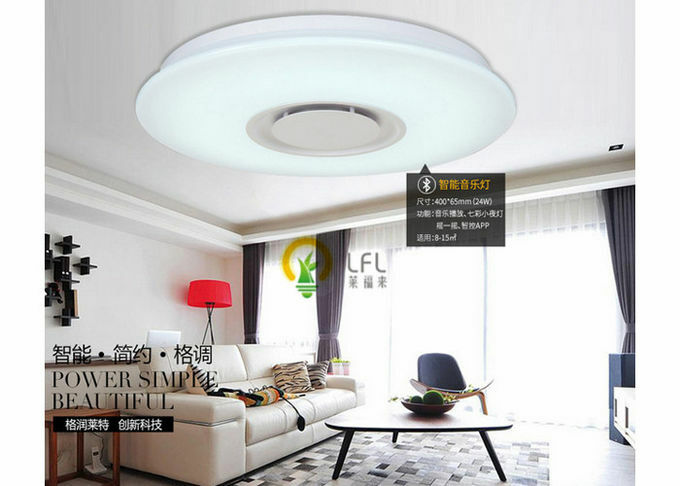 LED lamp appearance, with LED lighting band in the outer circle and a high-powered speaker inside. Wireless bluetooth connection, can be paired with all bluetooth-enabled devices, such as mobile phones, tablet PCs, notebooks, etc. 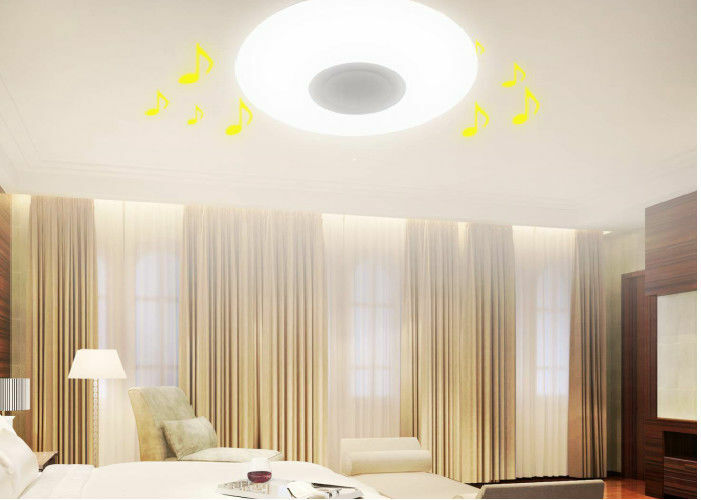 With the 2modes Blue tooth module, which make it available that the APP in the blue-tooth enabled devices can control the music& light , we can dimming or color changing through MP. 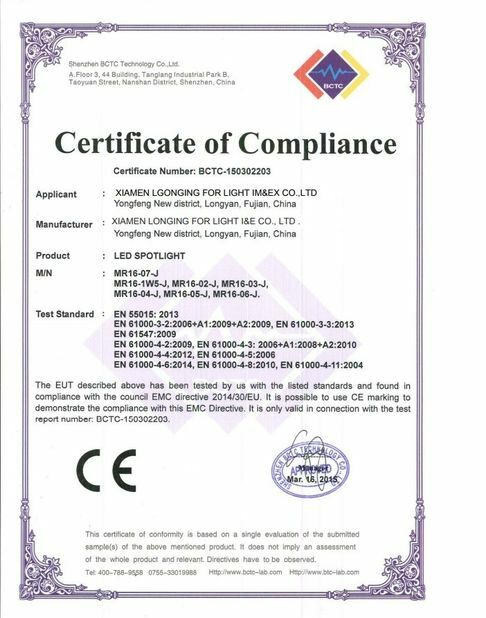 Adopts E27 lamp base, just plug and use, very easy to operate. Supplied with a wireless remote controller. Both light brightness and music volume are adjustable. High brightness and low power consumption.